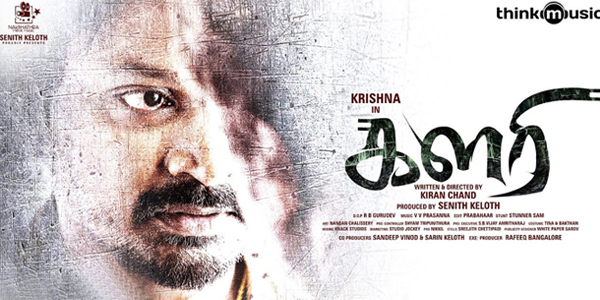 'Kalari' is an upcoming movie which has Krishna essaying the lead role. The movie is directed by Kiran Chand and has actress Vidhya Pradeep essaying the female lead in the movie. Apart from the lead roles as said above, the film also has an ensemble cast that includes Samyuktha Menon, MS Bhaskar, Vishnu, Jayaprakash, Jeeva ravi as well. Reportedly, the film is set in Kochi and revolves around the theme of strained father-son relationship. The team filmed the movie beginning from January 2017 and throughout the year. The music score for the film has been composed by VV Prasanna and Gurudev has handled the cinematography. Editor Prabaahar has made the cuts for the movie. The film is being bankrolled by Senith Keloth under the production banner of Nakshathra Movie Magic. The film is all set to hit the screen coming August 24.